Welcome to Everyone Around the World who has an interest in Lewy Body Dementia. Maybe you know this disease by another name: Parkinson Disease Dementia, Dementia with Lewy Bodies, or Diffuse Lewy Body Dementia. If you are confused about the strange mannerisms with LBD, I was as well. We were told my husband had Parkinson’s, but no! It was definitely LBD. I was a caregiver for five years and have worked with several families since 2010. I have a fairly good handle on the disease. My webpage will provide many Doors for the seeker who wants more information. 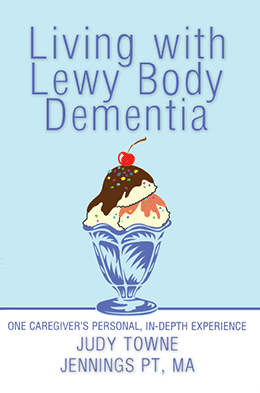 I studied my husband’s disease course, researched the symptoms, and put our experience into a book: Living with Lewy Body Dementia, One Caregiver’s Personal, In-Depth Experience. You will find more information under the Door marked Book. All pages have a link for you to order the book easily. I have hundreds of suggestions and solutions for all stages and phases of the disease. It is factual, but offers hope and optimism for ways to add as much quality to your lives as possible after a Movement Disorder suddenly appears in your life. If your interest is hearing my story personally, I do speak for large and small groups. Explaining the importance of understanding LBD and the differences from Parkinson and Alzheimers is very important. I do travel and speak widely. If I am not near you, contact me and we can organize a gathering. Doing my book at a book club meeting is very valuable. It gives the readers ample time to comment or ask questions. This might be limited to Clubs in the Middle Tennessee area. 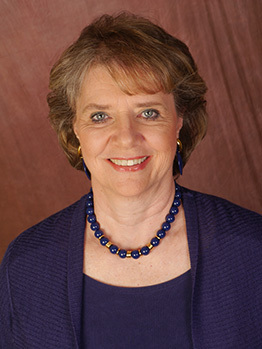 You can get a few snippets of my talks on YouTube under Judy Towne Jennings or Facebook.com/dementiacaregiver. I have done the 24/7 journey with my husband. He could have days when he was able to walk all over the house, go out to restaurants, carry on great conversations; followed by days or hours when he was a complete invalid and couldn’t get out of bed. It is a bizarre disease. But we made the best of every day: went on three cruises in those five years, took many car vacations, and had many story/moments that have touched people all over the United States. I do mentor caregivers who have my book and need to talk or connect: Leave your information under the Door called Contact me. Under the Blog Door, I have many posts on topics I wanted to share. Some are cautions to prepare other caregivers for the “unexpecteds”. Others might be funny, contemplative or informative. All are my gifts to other caregivers. I also have many posts on topics pertinent to caregiving, LBD, and/or widowhood on the Facebook page above. We sometimes forget that each of us has some unique skill that can add value to another person's life.....besides being a caregiver.